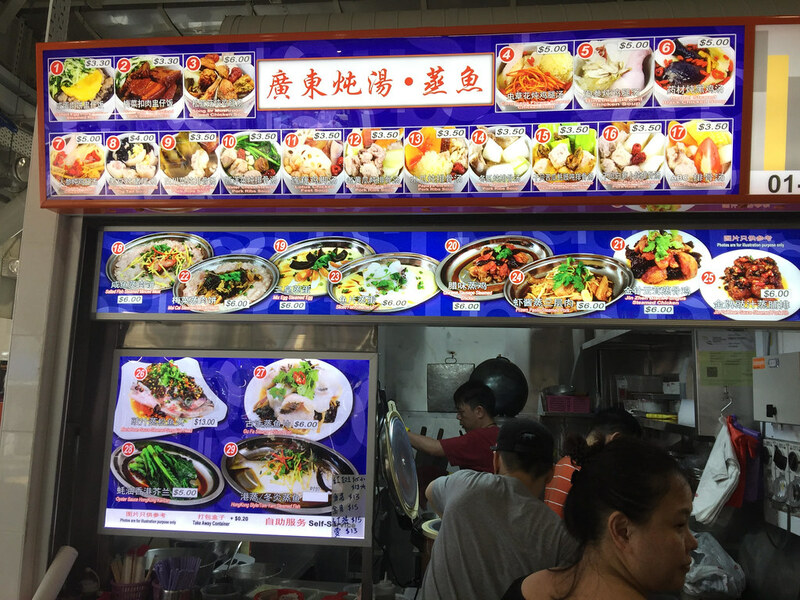 A stall that caught my eyes at the newly re-opened Geylang Bahru Food Centre is Guangdong Dun Tang Zheng Yu (廣東炖汤.蒸鱼) which sells a variety of soup and steamed dishes. Its really quite amazing that they can offer up to 29 different dishes at their small little kitchen. Among the 17 different type of soups that they offered on the menu, I decided to go for the Watercress Pork Rib Soup ($3.50). Both the watercress and pork ribs have been cooked until soft, indicating that it has been boiled for hours. The soup was sweet and packed with flavours. I am not sure what type of fish is used for the Gu Fa Steamed Sliced Fish ($6), but the sliced fish has a firm texture. The serving is considered quite a big portion for the price paid. It even comes with black fungus dressed in a savoury sweet sauce. 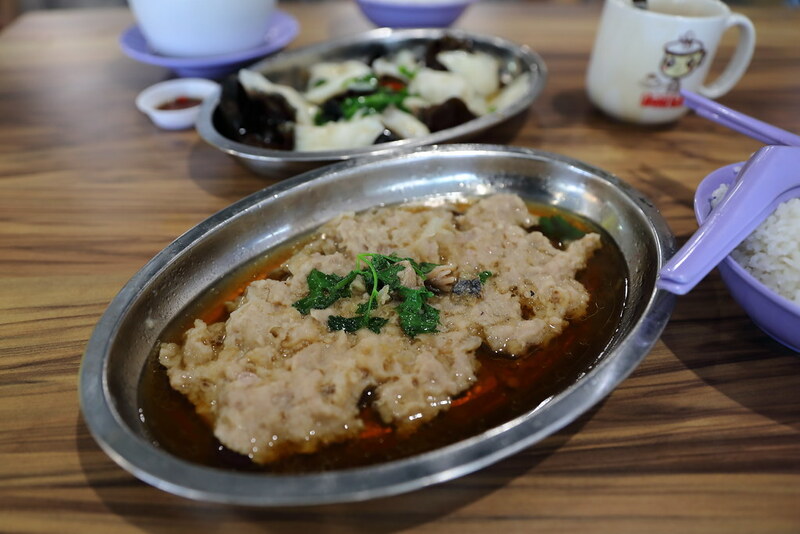 Completing our meal, I ordered the Salted Fish Steamed Minced Meat ($6). 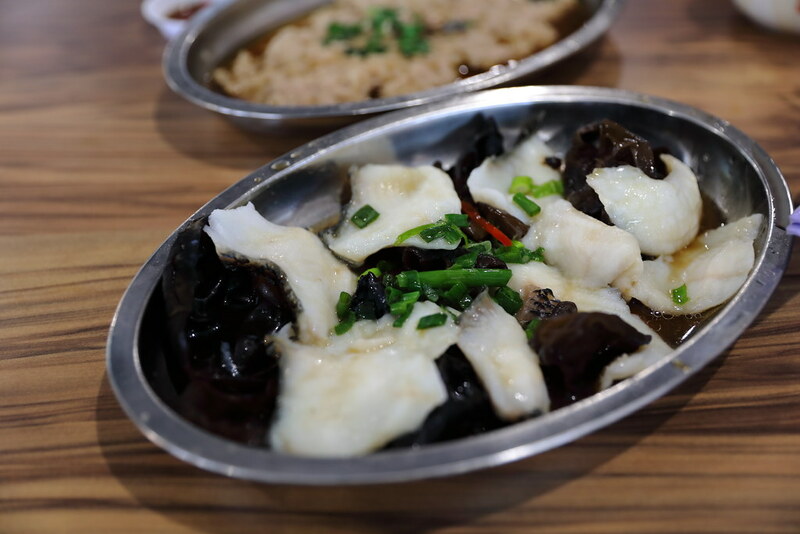 Besides the salted fish, there are also white fungus in the minced meat. The steamed minced meat some how didn't taste satisfying due to the lack of texture (minced meat), it seems there was some cost cutting in the cooking. It would be acceptable if the accompanying sauce is not that sweet too. Besides the dishes I tried, there are Steamed Egg, Chinese Sausage Steamed Chicken, Prawn Paste Steamed Pork, Kai Lan, Hong Kong Style Steamed Whole Fish, Blackbean Sauce Steamed Song Fish Head and more. 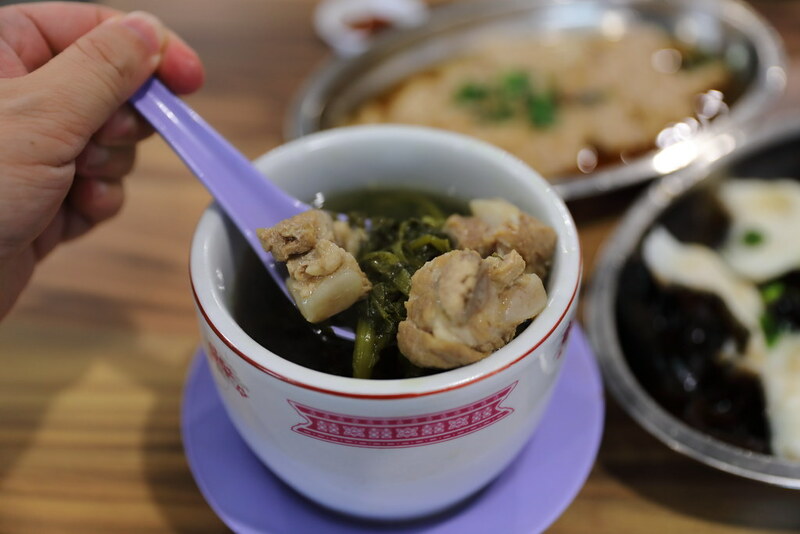 What I like about Guangdong Dun Tang Zheng Yu is that you can get homely cooked food at the stall which you can order from their eclectic menu, making it a complete meal with 2/3 cooked dishes and a soup.